At Local Pool Heating, it’s our mission to double the life of your swim season, regardless of where you live in Sydney. 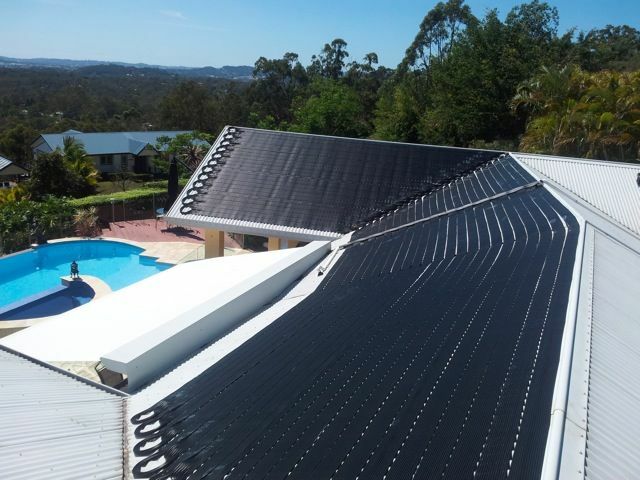 Solar pool heater panels are, by far, the most economical and cost-effective method of heating pool water. These affordable and environmentally friendly swimming pool heating systems will keep you swimming in a comfortable temperature from approximately September to March! Our Sunstar collectors are durable and reliable because they are built to withstand the harsh effects of the Australian sun, so you’ll be able to enjoy your pool in cooler seasons for many years to come. Local Pool Heating will supply, install and repair your solar heating system. How Does My Swimming Pool Solar Heater Work? In a solar heating system, your pool water is pumped through hundreds of individual tubes contained within the collector which are usually found on your roof in the sun! 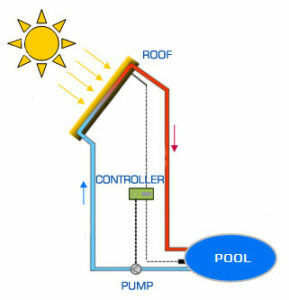 The sun’s energy heats the water which is then pumped back into the pool water to reach your desired temperature. Because solar energy is free, you’ll save a tonne of money on your electricity bills whilst minimising your environmental impact and extending the swimming season for your entire family! The rule of thumb with your solar pool heater pump is expecting a consistently comfortable temperature for 7 months of the year – approximately 27 degrees plus. Follow the guide below to set your pool temperature perfectly for its application. Local Pool Heating can typically install your solar pool heater panels within 1-2 days, depending on the size of pool heating system you decide on. We offer both rigid panel systems and flexible collector strips – our installers will talk you through the difference and help you pick the right on for your pool. Add a pool blanket to conserve even more energy. Organise a free, no-obligation consultation with our pool heating specialists today – we’ll come to you anywhere in Sydney and the surrounding area, so call 1300 724 132 or contact us online!